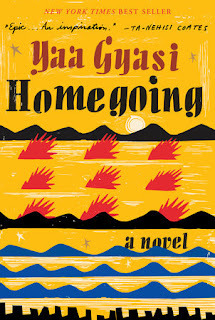 At the moment of finishing Homegoing by Yaa Gyasi, all I could think was "Wow"! What a breathtaking, sweeping novel. All of the characters were so incredibly alive off of the pages. The story, the landscapes, were all so incredibly rich with details and substance. I read this leisurely, enjoying every minute. I was captivated from the very start. A multi-generation tale that spans 300 years and two continents, starting in Ghana. 2 girls of the same mother, but whose lives took different journeys, of which one suffers in the throws of slavery. 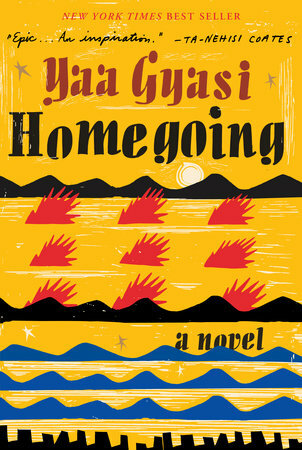 How did Yaa Gyasi pack all of this in, in one book without faltering?! I am sad that I am done, but I don't think this story will fade from my thoughts for a long, long time. READ THIS! 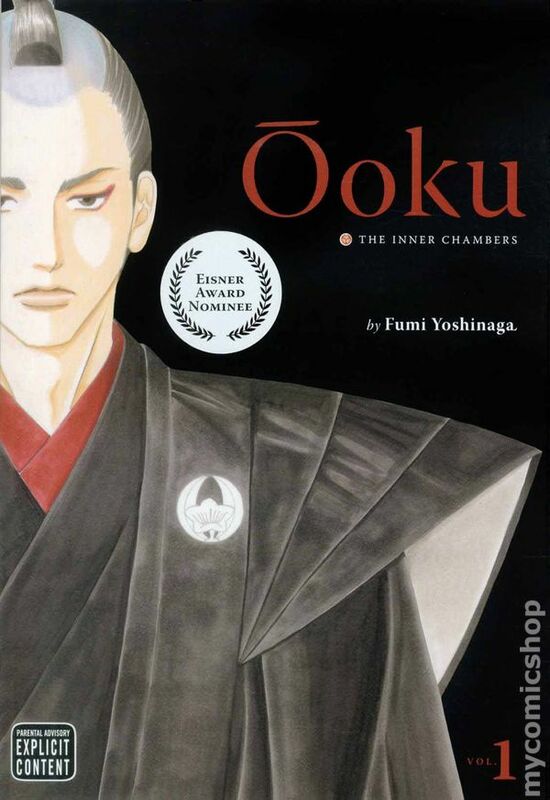 Ooku is a historical Manga about the Edo period of an alternate Japan which is ruled entirely by women due to a strange plague that has wiped out most of the men. It is an ongoing series that I just love! Not only is the artwork wonderful, but the storyline is great. The characters come alive off the page and we learn quite a bit about this period of time in Japanese history. Even though this is an "alternate" reality, this story presents the history of the period well. 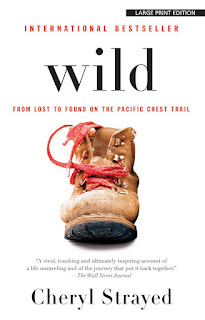 Thanks author Gill Paul, for a great read! 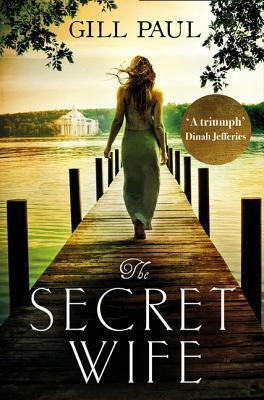 Look for my review coming soon... and in the meantime, check out what Gill Paul shares with her readers about The Secret Wife on Harper Reach. First, What is the storyline? Still Me is about how beloved character Lousia Clark leaves everything behind, England, her close family, her hunky new paramedic boyfriend Sam and moves across the pond to New York City. She's still trying to live in the moment and experience all life has to offer as her precious deceased love, Will Traynor, Me Before You, has inspired her to do. 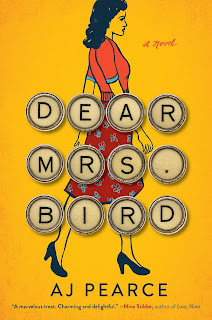 She accepts a job working for a very wealthy family, who is as dysfunctional as you can imagine and along the way she meets so many wonderful people, all of whom we really get to know because Jojo Moyes knows how to delve deep into the souls of her characters. The pulse of the story centers around the quirky people in the building Louisa works in and New York City itself (and let me tell you, Jojo really captures the sights and sounds of The City! You really feel like you are right beside Louisa as she is walking those streets!) There are a few twists and turns in the juggling act Louisa must do in order to keep her job, her boyfriend and her sanity, but you'll have to read Still Me to find out how that all works out. *Hint... have tissues ready, it's a bumpy, emotional fun-filled ride! Now how is this story amazing? Well, revisiting a well loved character in a new book can be risky business. We loved Louisa Clark in England and the previous 2 books, Me Before You & After You, we loved character Will Traynor, we even loved Louisa's new love interest Sam, but would we love her moving across the pond? 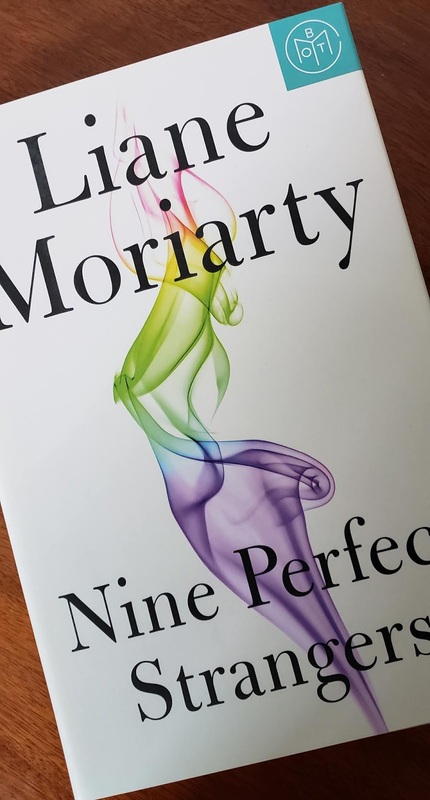 Would this new story pull us in or would we be missing everything Louisa and Jojo Moyes leaves behind in the last two books including those characters? The answer is that author Jojo Moyes does a fantastic job on all counts and Still Me is a wonderful read! 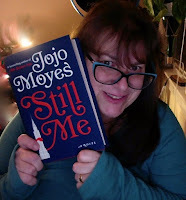 If you love the character Louisa Clark, if you've read the previous 2 books, or just Me Before You, you will love Still Me! If you haven't read the previous adventures of Louisa Clark, you still can enjoy Still Me and will fall in love with quirky, full of heart character Louisa Clark for the first time. 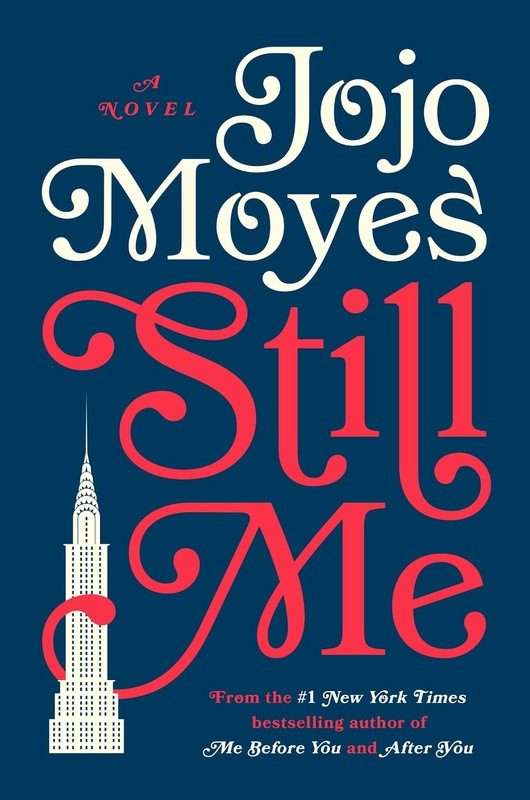 In any case, pick up a copy of Still Me by Jojo Moyes and be prepared to be swept up in Louisa's newest adventure! 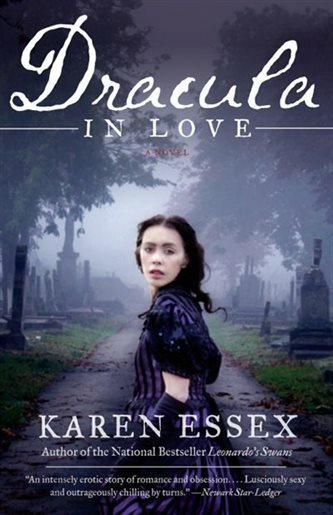 A little romance, a little heartbreak, a lot of fashion and a great story! Coming to your bookstore of choice January 30th! 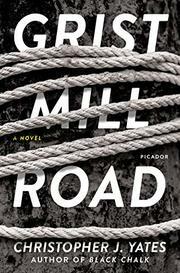 Published by Penguin Random House. I want to thank Penguin Random House for sending along a review copy of Still Me for an honest review! I loved it! Jojo has been a full time novelist since 2002, when her first book, Sheltering Rain was published. Since then she has written a further eleven novels, all of which have been widely critically acclaimed. Jojo has won the Romantic Novelist’s Award twice, and Me Before You has been nominated for Book of the Year at the UK Galaxy Book Awards. Me Before You has since gone on to sell over 8 million copies worldwide. 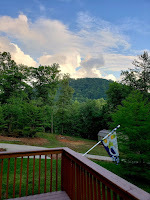 Presently, Jojo lives (and writes!) on a farm in Essex, England with her husband, journalist Charles Arthur, and their three children. 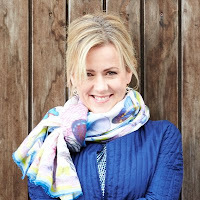 Look for Jojo Moyes newest book, Still Me, out on January 30th! 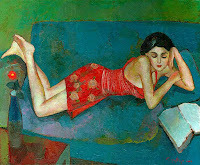 In the meantime, for more information about Jojo and her books, please visit the webpage here. Molly's Game by Molly Bloom... From the back cover: When Molly Bloom was a little girl growing up in a small Colorado town, she watched her brothers win medals, ace tests, and receive high praise from everyone they met. Molly wanted nothing more than to bask in that glow a little herself, so she pushed herself too—as a student, as an athlete. She was successful but felt like she was always coming from behind. She wanted to break free, to find a life without rules and limits, a life where she didn't have to measure up to anyone or anything—where she could become whatever she wanted. Molly wanted more, and she got more than she could have ever bargained for. 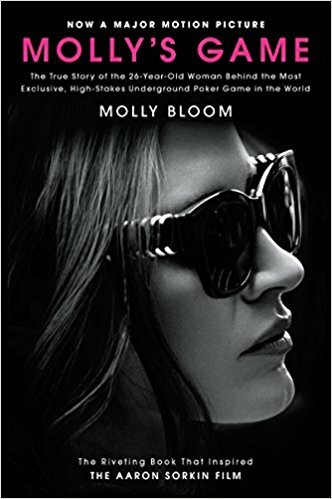 In Molly's Game, Molly Bloom takes the reader through her adventures running an exclusive high-stakes private poker game. Her clients ranged from iconic stars like Leonardo DiCaprio and Ben Affleck to politicians and financial titans so powerful they moved markets and changed the course of history. 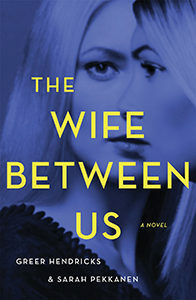 With rich detail, Molly describes a world that until now has been shrouded in glamour, privilege, and secrecy, one where she fearlessly took on the Russian and Italian mobs—until she met the one adversary she could not outsmart, even though she had justice on her side: the United States government. Molly's Game is an incredible coming-of-age story about a young girl who rejected convention in pursuit of her version of the American dream. 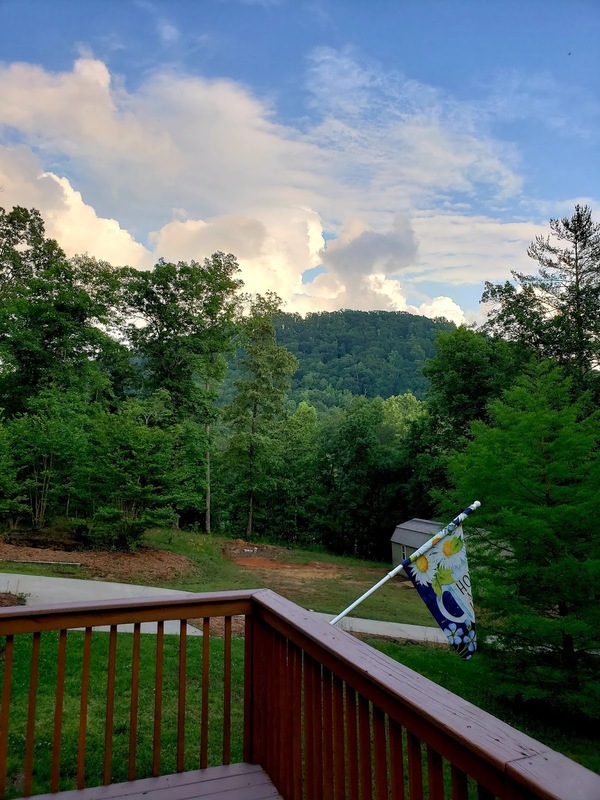 It's the story of how she gained—and then lost—her place at the table, and of everything she learned about poker, love, and life in the process. I'm not really sure where I saw this originally. The cover struck me and I had to read what it was about. 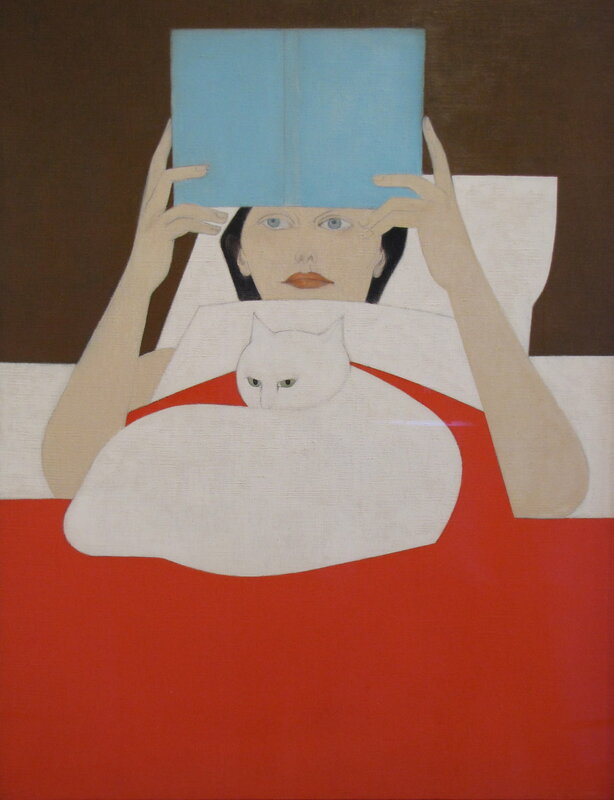 I thought it was some piece of literary fiction with a central character that had some cat and mouse game going on. But wow, it looks like this definitely is not what I was expecting! 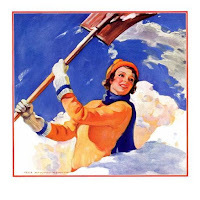 Molly Bloom was an olympic class skier, who got involved with high stakes poker that lead her to be arrested by 17 automatic rifle wielding FBI agents in the middle of the night. I'm thinking Orange Is The New Black meets poker. I read an excerpt and really liked the writing! It's now a major motion picture... read the book before the movie! On my TBR list NOW! A Thriller published by Picador and published January 9th! This classic has been on my TBR list for forever. 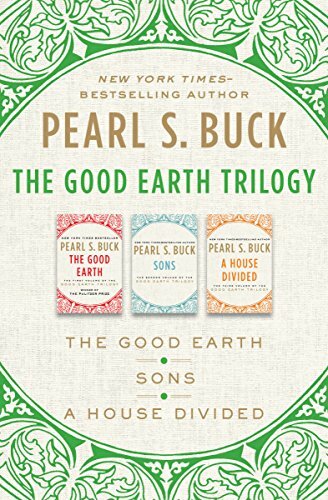 Have you read The Good Earth by Pearl S. Buck yet? It's actually part of a trilogy with the first book being The Good Earth, the 2nd book is Sons, and the 3rd book is A House Divided, and if you are quick today, it's at a bargain eBook price of $3.99 at Amazon and B&N! "With luck and hard work, the couple’s fortunes improve over the years: They are blessed with sons, and save steadily until one day they can afford to buy property in the House of Wang—the very house in which O-lan used to work. But success brings with it a new set of problems. Wang soon finds himself the target of jealousy, and as good harvests come and go, so does the social order. Will Wang’s family cherish the estate after he’s gone? nThe family’s story continues in Sons and A House Divided, when the Revolution sweeping through China further unsettles Wang Lung’s family in this rich and unforgettable portrait of a family and a country in the throes of widespread national change." 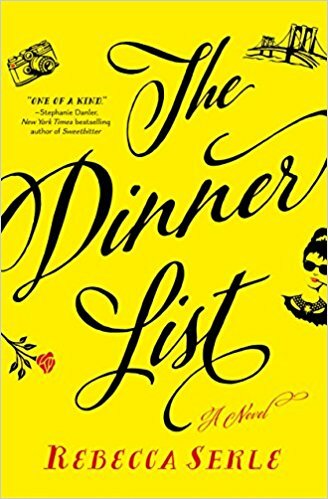 There was a bit of controversy surrounding as to the authenticity of an American author writing about Chinese culture and the struggles of this Chinese family. But the parents of Pearl S. Buck were missionaries in China and Pearl had spent her childhood growing up there and remained there until she was seventeen. She then went off to college, but soon returned to China, married John Lossing Buck, who was in China teaching American farming techniques. 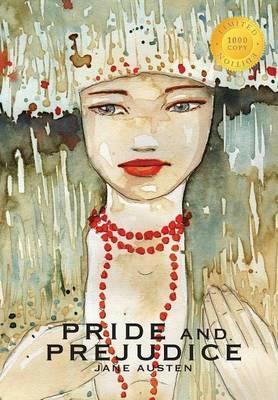 Because of all of this, Pearl had an intimate and sympathetic view of the Chinese and wrote from the heart. I can't resist a bargain, so I downloaded the trilogy! Use the links above to get your Kindle or Nook eBooks! But act fast, who knows when the bargain prices expire, AND always check the price before you hit the "buy" button! *Update... The Bargain Sale is officially over as of 1/10, just one day later, and the price is now $23.99! In My Mailbox... Great Books Coming Soon to a Bookstore Near You! In My Mailbox... Getting back into the swing of things this week, with lots of packing to go, but needing to sit down and relax with some great reading! 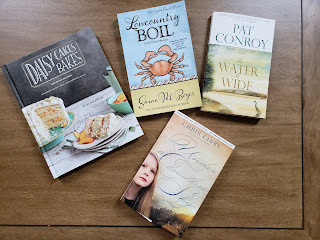 I'm a little over half way thru Still Me by Jojo Moyes, which is such a good read, but I wanted to share some great books I've received in my mailbox (or actually in my eReader because all of the books this week are eGalleys!). 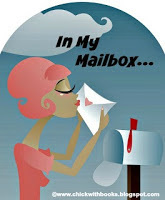 I decided I would join in on the fun sharing them with you and the other bloggers participating in Mailbox Monday! 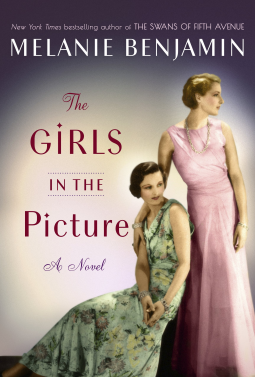 The Girls in the Picture by Melanie Benjamin... It is 1914, and twenty-five-year-old Frances Marion has left her (second) husband and her Northern California home for the lure of Los Angeles, where she is determined to live independently as an artist. But the word on everyone’s lips these days is “flickers”—the silent moving pictures enthralling theatergoers. Turn any corner in this burgeoning town and you’ll find made-up actors running around, as a movie camera captures it all. 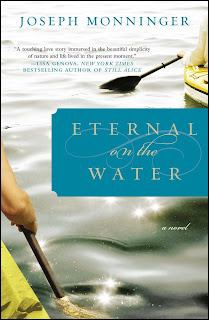 Melanie Benjamin knows how to weave historical fiction into a story we become totally absorbed in! Looking forward to starting this book soon. 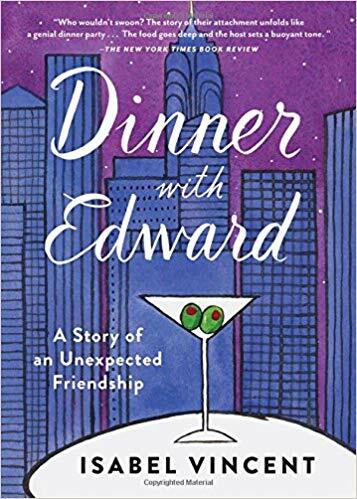 Coming out January 16th and published by Random House Publishing Group- Ballantine, Delacorte Press. 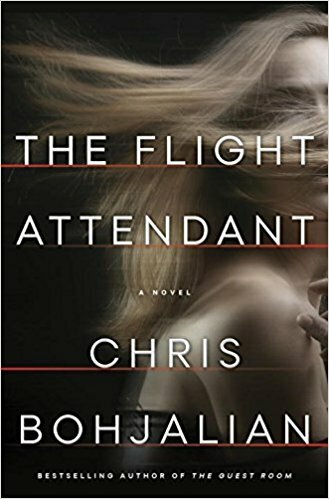 The Flight Attendant by Chris Bohjalian... Cassandra Bowden is no stranger to hungover mornings. She's a binge drinker, her job with the airline making it easy to find adventure, and the occasional blackouts seem to be inevitable. 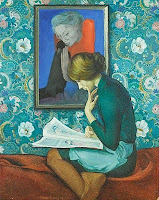 She lives with them, and the accompanying self-loathing. When she awakes in a Dubai hotel room, she tries to piece the previous night back together, counting the minutes until she has to catch her crew shuttle to the airport. She quietly slides out of bed, careful not to aggravate her already pounding head, and looks at the man she spent the night with. She sees his dark hair. His utter stillness. And blood, a slick, still wet pool on the crisp white sheets. 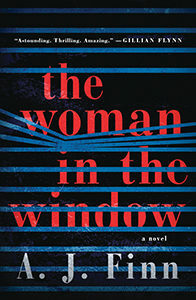 Afraid to call the police - she's a single woman alone in a hotel room far from home - Cassie begins to lie. She lies as she joins the other flight attendants and pilots in the van. She lies on the way to Paris as she works the first class cabin. 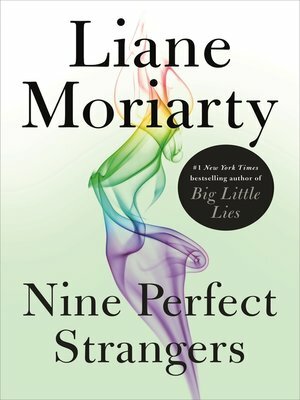 She lies to the FBI agents in New York who meet her at the gate. Soon it's too late to come clean-or face the truth about what really happened back in Dubai. Could she have killed him? If not, who did? I Love Chris Bohjalian and this sounds like a thriller I can sink my teeth in! 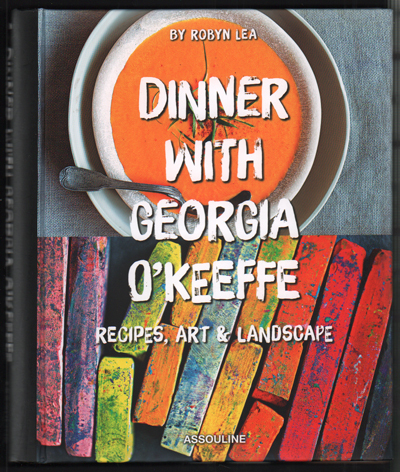 Coming out March 13th and published by Doubleday Books! This sounds so crazy good! It's gotten some great reviews too! And this is Anna Quinn's debut. Coming out January 30th and published by Blackstone Publishing. 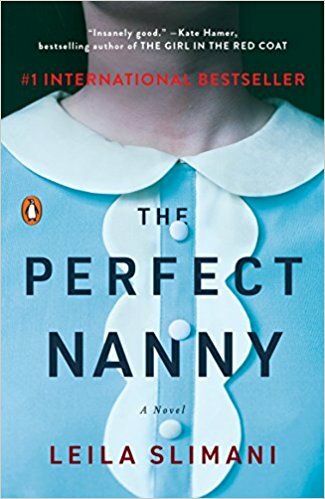 The Perfect Nanny by Leila Slimani... She has the keys to their apartment. She knows everything. She has embedded herself so deeply in their lives that it now seems impossible to remove her. This is the first "Hot" book of 2018! 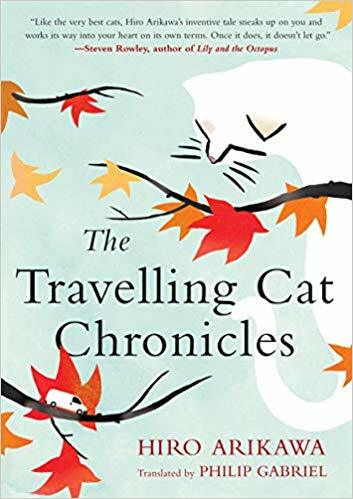 This book won The Prix Goncourt (The Goncourt Prize) in 2016, which is a prize in French literature given by the académie Goncourt to the author of "the best and most imaginative prose work of the year". Originally published in France as Chanson Douce, or "lullaby" (Sweet Song), It has sold over 600,000 copies since then. Available Jan. 9th and published by Penguin. On my TBR list! Lots of buzz about this book. Even movie rights have been sold for it. It's suppose to be a taunt psychological thriller and I'm so hoping that it lives up to all the hype! Lots of positive reviews pre-publication! 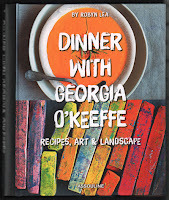 Coming out on January 2nd and published by Harper Collins! P.S. A.J. Finn is not the authors real name... On my TBR list! Another twist and turn book that's gotten quite a bit of buzz. It's made the Indie Next List this month, as did all of these book I'm talking about today, and it has gotten a lot of great pre-publishing reviews. 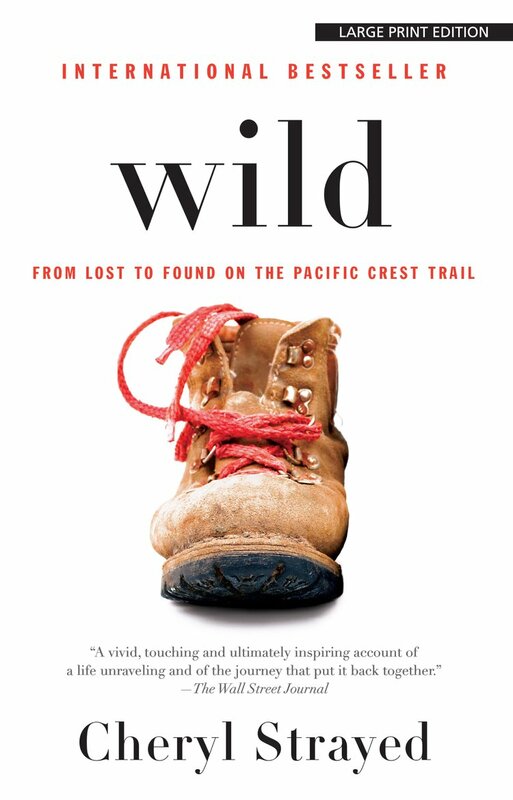 Coming out January 9th and published by St. Martin's Press. 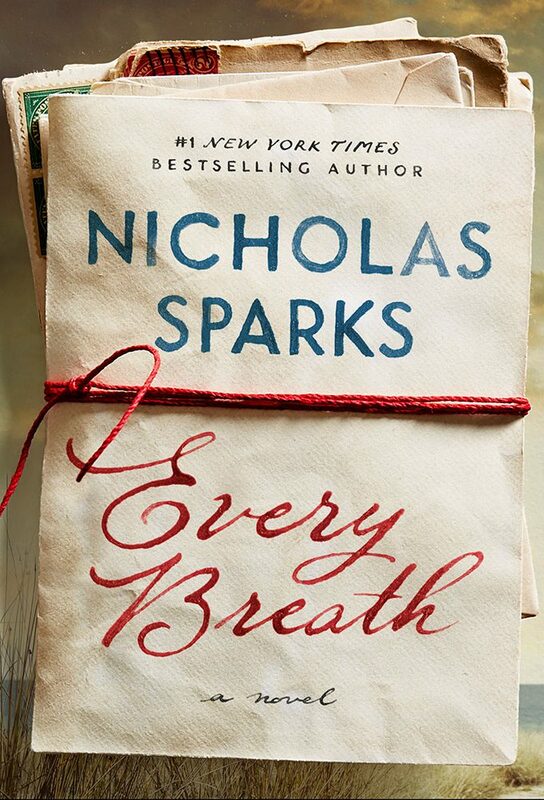 Definitely on my TBR list! 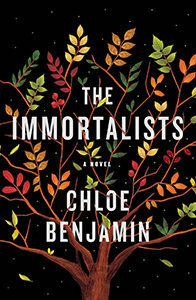 This is the #1 Indie Next choice for January, but I've seen a mixed bag of pre-publication reviews. 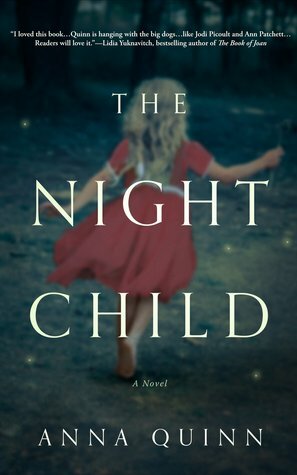 Not so much of a thriller as literary fiction, I don't think this is going to get your heart beating fast and your palm sweating, but sounds like an interesting read. 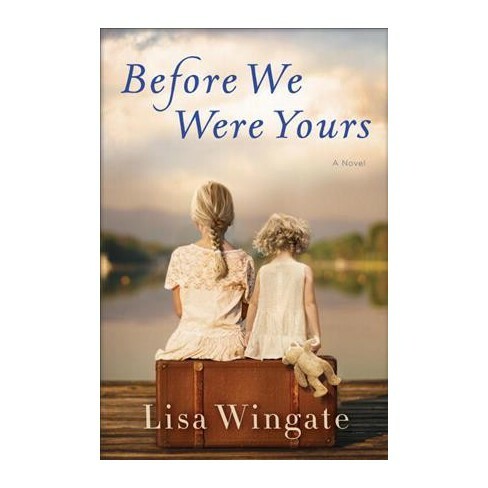 I'm reserving my judgement for this one, but it is on my TBR list. Coming out on January 9th and published by Putnam. *Sunday was New Years Eve and my reveal for my First Book Of The Year... Still Me by Jojo Moyes! 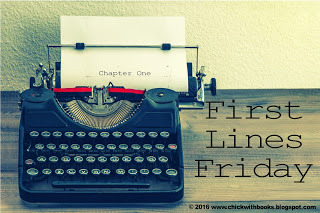 *First Lines Friday revealed the beginning of Chalk Man by C.J. Tudor! *Sadly on Dec. 28th, 2017 the reading world had to bid farewell to Sue Grafton, who passed away at the age of 77 from cancer. The Guardian.com posted her obituary January 3rd. Unfortunately for fans of Grafton's alphabet series, the alphabet will be ending with Y. How Are You Keeping Warm on These Cold Winter Days? That about does it for this week. Next week we'll have some more great books coming out. And tomorrow I reveal 3 great eGalley's I just received from publishers for some great books coming out in the near future! Stop back and see what they are!